How to deal with expired data sources (integration)? DashThis deals with many integrations and data sources. In order to request access to these sources, we need to be authorized in some way, by their respective APIs (application program interfaces). In some cases, this is how it works: a data source is added to a DashThis account. The integration information for the data source is then used by DashThis : DashThis calls the data source’s API, the API grants access through a token. In all subsequent calls to the same API, the token is checked, and access is granted when verified. This is for security reasons, and to limit the number of calls to verified users. In all cases, though, the token lifetime is not unlimited. When the token expires, a new call to the API is required, with the integration login information. When this is the case, data from this source will not be retrieved by DashThis, as long as the data source is not renewed. – Facebook / Facebook Ads / LinkedIn Pages/LinkedIn Ads : click on « Renew » to re-enter the corresponding login information. – Any other data sources: re-adding the data source, along with the necessary credentials, will usually correct the problem and renew the token. 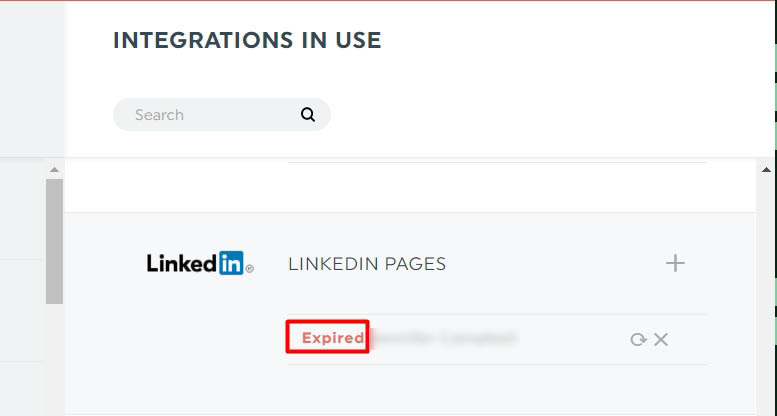 This entry was posted in Integrations and tagged Adwords, expired, Facebook Ads, Facebook Insight, google analytics, Linkedin, Managing Integration. How to get history from social media sources?